What is a JBOD storage enclosure? How does a hypervisor work and do you really care? 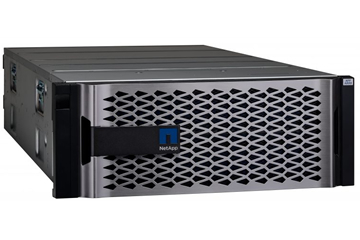 We provide a range of JBOD storage chassis that are Microsoft Certified for use with Windows Server 2012, 2012 R2, 2016, Storage Spaces Direct and software defined applications such a software defined storage, hyper-convergence, future defined datacentres. All JBOD storage chassis support SAS/SATA/SSD drives and support 6Gb/s-12Gb/s devices, connect to a host via 6Gb/s – 12Gb/s SAS, the controller can be either a SAS RAID controller or SAS adapter, we can assist in helping you choose the correct type of card for your application. 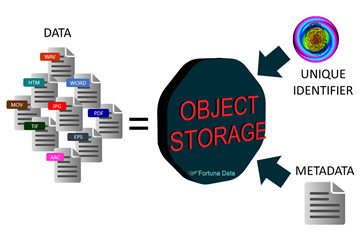 A JBOD does not provide any form of data protection against data loss, unless it is connected to a RAID controller to provide data protection or increasingly connected to a SAS adapter to run a software defined storage solution, whereby the software application stripes and protects the data. A JBOD should not be considered as a replacement to a RAID system, after all RAID expansion chassis are just JBOD. The primary differences between RAID storage and JBOD are the RAID controller in storage is internal whereas a JBOD connects via an external controller. A RAID controller typically stripes data across the disks in a dataset, whereas a JBOD views disks individually and this makes it ideal for software defined applications such as those listed below. In a software defined application data is written to a drive(s) within a JBOD and this is then replicated “X” times to the next node in order to provide data protection. This makes software defined applications faster at reading and writing data as it is written on the device as a continuous block whereas a RAID writes and reads data across many drives within the stripe, this is why RAID storage manufacturers make recommendations, regarding the optimal number of drives to have in a stripe to provide maximum performance. Software defined applications do not suffer from the problem of RAID rebuild which is especially bad when using larger drives as rebuild times could take many days to complete affecting performance and the potential for further data loss. As a software defined application copies all the data to multiple drives therefore no RAID rebuild. JBOD’s support either single or dual SAS controllers each with 2 or 4 SAS ports with the ability to daisy chain for expansion. We provide JBOD that can hold 12/16/24/64/80 drives of 2.5″ or 3.5″ form factor. All JBOD’s support 12TB SAS/SATA drives, the 80-bay can store 960TB’s in a 4U rackspace. We provide a complete range of JBOD storage and offer support, configuration advice and evaluation systems for you to test in your environment. If you would like to know more please phone us on 0207 193 5760 or complete our online form.